While relaxing under the protection of an umbrella on a particularly scorching hot Florida summer afternoon, this happened. 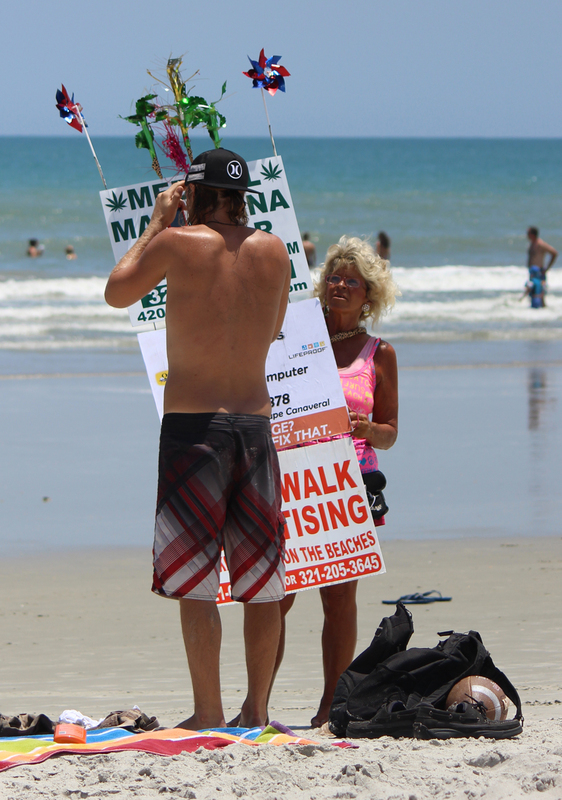 The woman – who is my BRONZE – was walking up and down Cocoa Beach with a sign inviting people interested in the business of pot growing to a local seminar. Or, to be fair, “medical marijuana.” She could not be missed with her neon pink clothes, nearly white lips, platinum blonde hair and bronze skin.